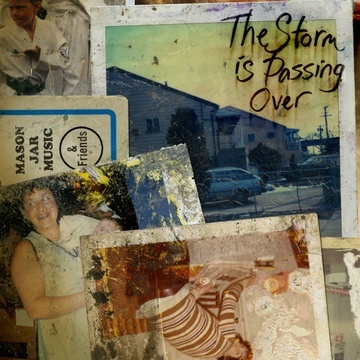 In the wake of Hurricane Sandy, Brooklyn-based collective Mason Jar Music has assembled an all-star collection of indie-folk artists to create The Storm is Passing Over, a benefit album of fifteen classic American storm songs. Donations exchanged for these recordings will go directly to support ongoing relief work in New York City and the tri-state area. Though our own house and studio were unharmed by the storm, mere miles from our little corner of Brooklyn, homes were destroyed and lives were lost. As the people of New York City pulled together to support each other in this difficult time, we at MJM were reminded of the blessing of our own close-knit community of artists and musicians – a gift we hope to share through this project. Much heartfelt thought and preparation went into the curation, performance, recording, and treatment of these songs. The resulting work is a labor of love inspired by the same challenges and the hope for rebirth that caused our predecessors to pen these songs during the storms that shook their own lives generations ago. These 15 tracks were recorded and mixed over a two week period in December, 2012. Some artists recorded remotely from their homes and studios in Nashville, Portland, and Paris, but most came to record at Mason Jar Music in Brooklyn. Together we workshopped new interpretations of classic songs, swapping ideas and experiences. Each track centers around a real performance, recorded live. Mason Jar Music, NoiseTrade, Stereotonic, and all the artists and musicians involved in this project have kindly offered their valuable time and talents, and we encourage listeners to be as generous as they can. Literally 100% of the revenue from this project will go to the relief effort.